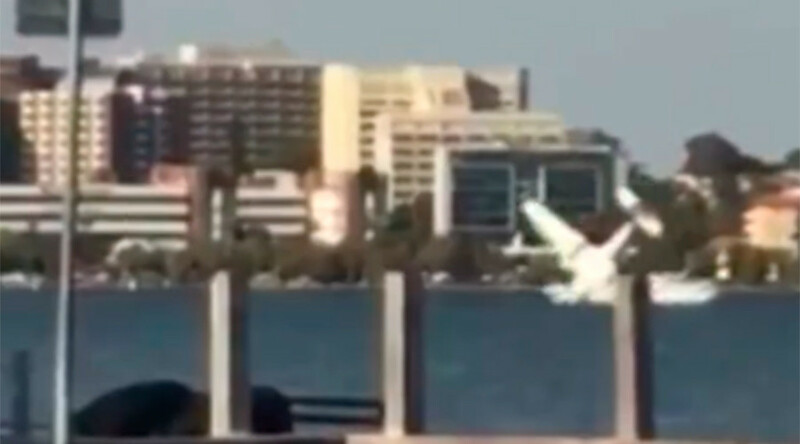 Australia Day celebrations turned sour Thursday when a plane crashed into the water in Perth, with two people inside. The incident, which was caught on camera, prompted organizers to cancel a firework display after fruitless attempts to rescue the victims. The Grumman G-73 Mallard flying boat made a dramatic descent into the Swan River as onlookers who had gathered for the Australia Day firework display watched in horror. The plane had been flying with another aircraft when it stopped and nosedived into the water, breaking in two on impact. There were many boats in the water that tried to rescue the victims, but they were too late. The man and woman, believed to be husband and wife, were confirmed dead soon after the crash. Police called off the Australia Day event which was expected to attract 300,000 people, and told people to leave the area. The wreckage remained at the scene overnight. “It’s really important that we preserve that scene to make sure that we can extract everything we can to find out why this tragic event occurred,” Western Australia Police acting commissioner Stephen Brown said.